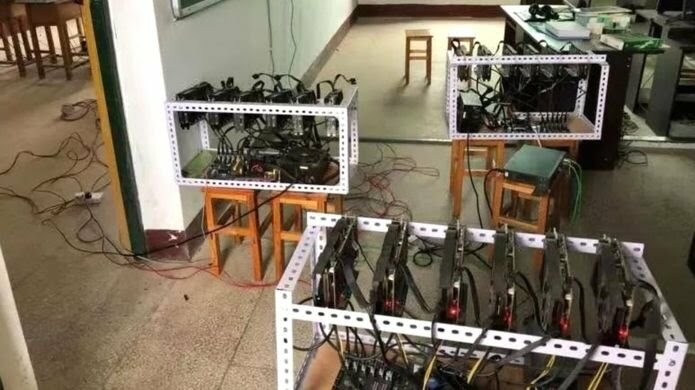 A Chinese headmaster has been fired after teachers found that he was using the school's computers to mine for cryptocurrency. Lei Hua, the head of Puman Middle School in China’s Hunan Province, had installed eight machines in a school classroom over the last year, according to local media. The ruse was discovered after he ran up large electricity bills and staff noticed strange noises and problems with the school’s computer network. The headmaster lost his job after the discovery and was removed from the local branch of the Communist Party. The deputy headmaster, who was also involved, received a formal warning. The headteacher reportedly started mining for a cryptocurrency called Ethereum at his home, but moved the device to the school after discovering the large amount of electricity required. Cryptocurrency mining uses computer hardware to perform calculations which result in digital coins being generated. This can be converted into normal money or retained as cryptocurrency. Powerful mining machines can generate more cryptocurrency, but typically become hot and noisy when operating and use large amounts of power. 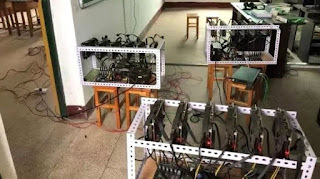 Puman Middle School’s electricity bill was affected, amid reports that cryptocurrency mining operation using 14,700 yuan (£1,600) of electricity. The power surge caused the school’s energy bill to almost double from earlier in the year. The illicit use of corporate networks and computers to mine cryptocurrency has been a common problem in recent years.